Oscar the Bear is playing a pattern on his drum. Animals in the countryside are coming close to listen to him. 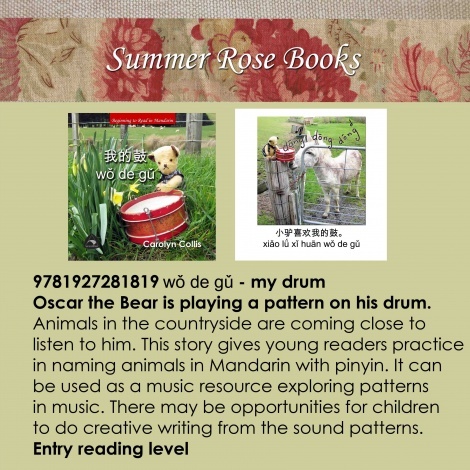 It gives young readers practice in naming animals in Mandarin with pinyin.